As many of you remember, the Northern Way became part of UNESCO's World Heritage List in 2015. This recognition honored the historical origins of the Jacobean phenomenon and since then the protagonism and relevance of the Camino de Santiago has yet to receive more presence in Asturian tourism and culture. 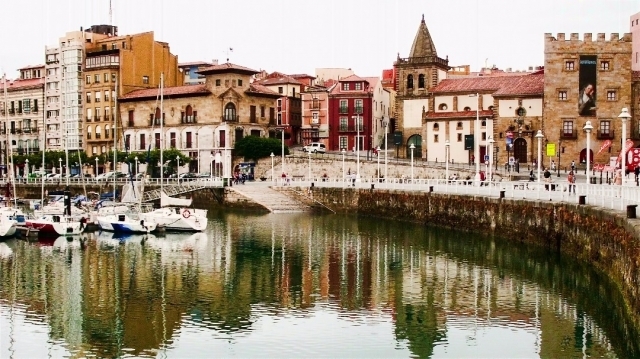 In order to respond to this growing importance and reaffirm its "commitment to the Camino de Santiago", the Government of the Principality of Asturias, through the Ministry of Education and Culture, has decided to join the Cultural Routes program of the Council of Europe. This international program advocates for the protection of European cultural values, intercultural dialogue and sustainable tourism between the countries of our environment and has already 30 years behind. Precisely this year marks 30 years since the Council of Europe granted the first mention of the European Cultural Itinerary to the Caminos de Santiago de Compostela. The Principality of Asturias, through its Directorate General of Cultural Heritage, will participate in the VII Consultative Forum of Lucca, in Italy, where the cultural itineraries program will value "the different contributions made by European countries and cultures to heritage common thanks to a trip in space and time, "reviewing the 30 years of existence of the European program.